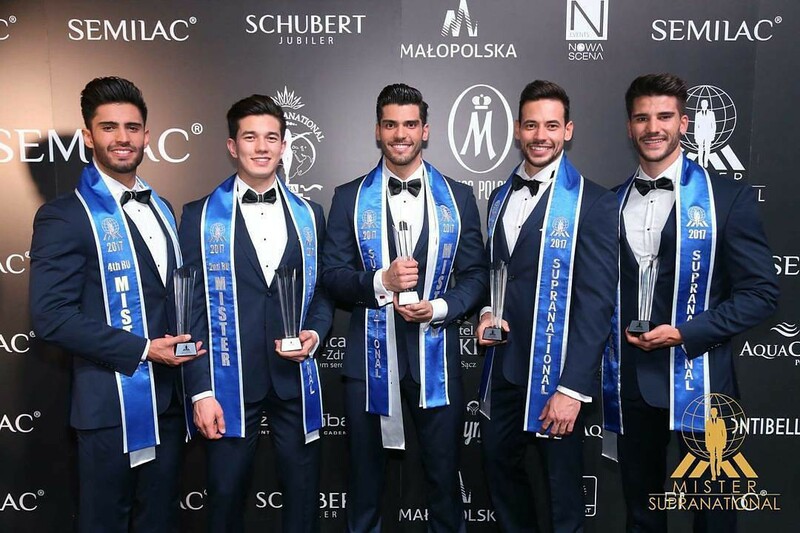 Gabriel Correa, a 28-year-old actor from Caracas, Venezuela (center) was declared the winner of Mister Supranational 2017 held Saturday, December 2, at Krynica-Zdrój, Poland. His court includes (left to right): 4th runner-up Héctor Parga of Mexico, second runner-up Matheus Song of Brazil, third runner-up Michal Gajdosech of Slovak Republic and first runner-up Alejandro Cifo Capilla of Spain. 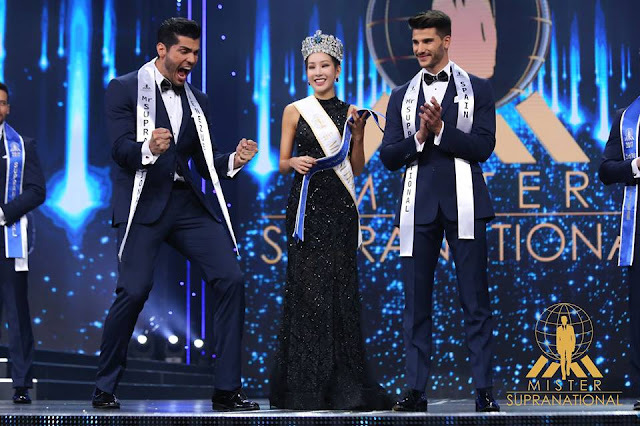 Semi-finalists were the representatives of Malta, Justin Axiak (6th place and Mister Supranational Europe), India, Altamash Faraz (7th place and Mister Supranational Asia and Oceania), United States, Cody Ondrick (8th place and Mister Supranational Americas), Poland, Jan Dratwicki (9th place), Indonesia, Gilbert Pangalila (10th place). Indonesia was the winner of the Vodi Fan Vote.